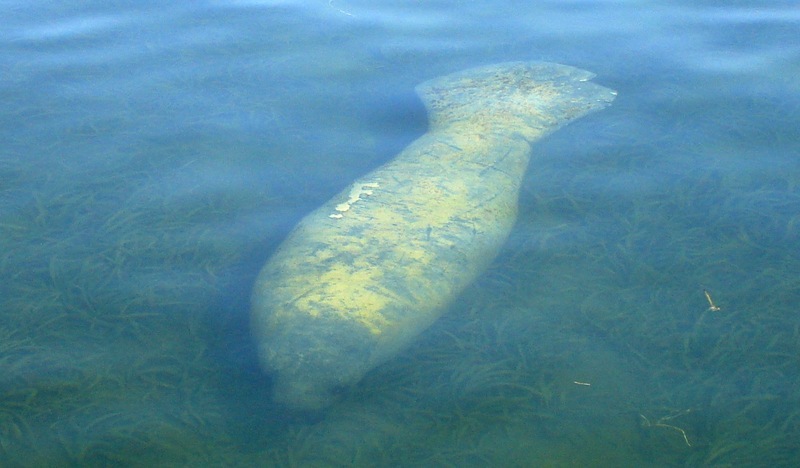 Manatee at Conch Key, FL. Manatee cruising by the dock. Well, they are at it again. Another attempt is being made to take the manatee off the Endangered Species’ List. Apparently all those darn regulations have actually been working, and the number of manatees has increased. So if something is working, then we must change it. As ridiculous as that sounds, that is exactly what some residents wish to do. Never mind that according to the Florida Fish and Wildlife Conservation Commission we had a record 830 manatee deaths last year. 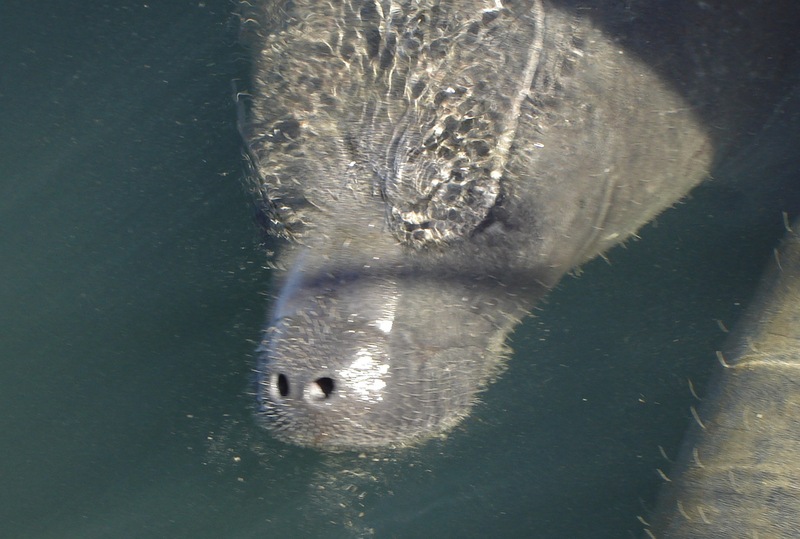 Previous estimates of manatee numbers was around 4800, so if 830 died, they lost about 17 percent of their population. There are plenty of reasons that some people want to throw the manatee under the bus…er, boat. The chief complaint is that boaters don’t want speed restrictions to ruin their fun on the water. No wake zones feel tedious and boring. What’s the point of having a powerboat or personal watercraft if you can’t run full throttle wherever you feel like it? I enjoy motor boating. I was born south of Miami, and I’ve been boating since I was a toddler. So I understand the thrill and desire for speed when cruising our waterways. But I have more sympathy for the manatees. I’ve spent many hours in a canoe and seen first hand these docile creatures who want nothing more than a safe warm harbor and some tasty grass to chew on. Most of the manatees I’ve come across bear the scars of multiple propeller injuries. They just can’t get out of the way of a speeding boat fast enough. Manatees continue to face many threats. While we can’t do anything about cold weather, a leading cause of death to them, we can lessen the dangers created by humans. 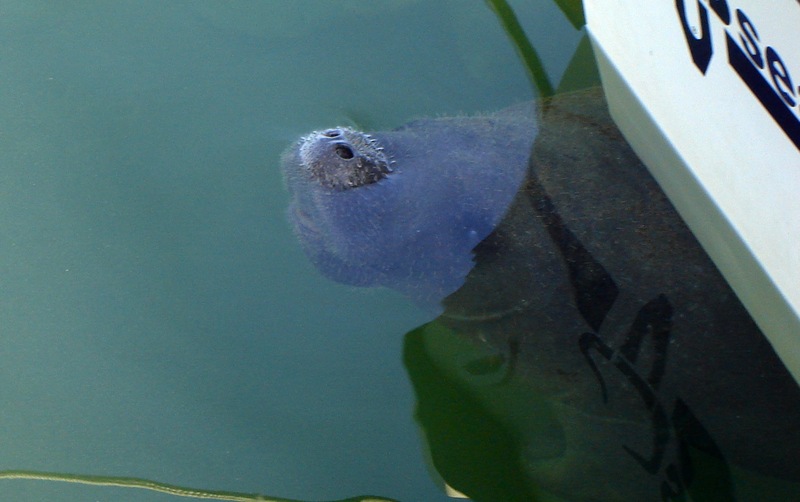 Boat collisions and propeller trauma are drastically reduced in the no wake zones—the residential areas of the manatee world. There is a reason we don’t speed in neighborhoods. Children, pets, and others are in close proximity to the road, so we slow down to avoid injury. We should give the same courtesy to a mammal who has inhabited Florida’s waterways since long before humans dramatically altered the landscape with development. So let’s hope the U.S. Fish and Wildlife Service carefully considers this latest attempt to change the manatees’ status. Without protections the manatees never would have made their meager strides so far. They still face an uncertain future. Removing them from the Endangered Species’ List would be profoundly wrong at this time. 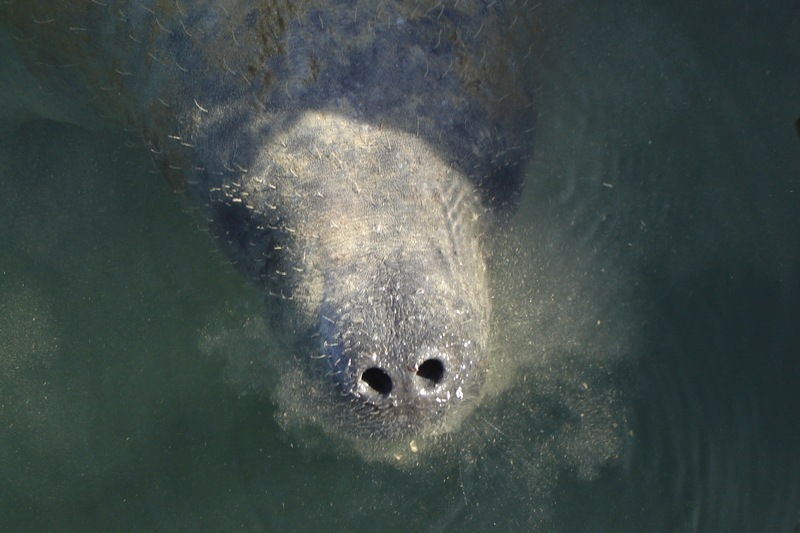 Snorting Manatee at Conch Key, FL. Great report on the plight of the manatee. We see them from our kayak and stand up paddle board as well, and they certainly cannot move fast enough to get out of the way of speeding boats.